Cape Town is a destination for the explorer that appreciates the rarer elements of life. Cape town is nestled in an naturally forming “bowl” which is formed by the four prominent mountains at the end of the Cape of Good Hope; Table Mountain, Lion’s Head, Signal Hill, and Devil’s Peak. These mountains have given Cape Town a very unique gift; extreme biodiversity. As well as fascinating flora and faunae to see Cape Town also has four varied and beautiful beaches; Clifton Beach, Camps Bay, Llandudno, and Boulders Beach. 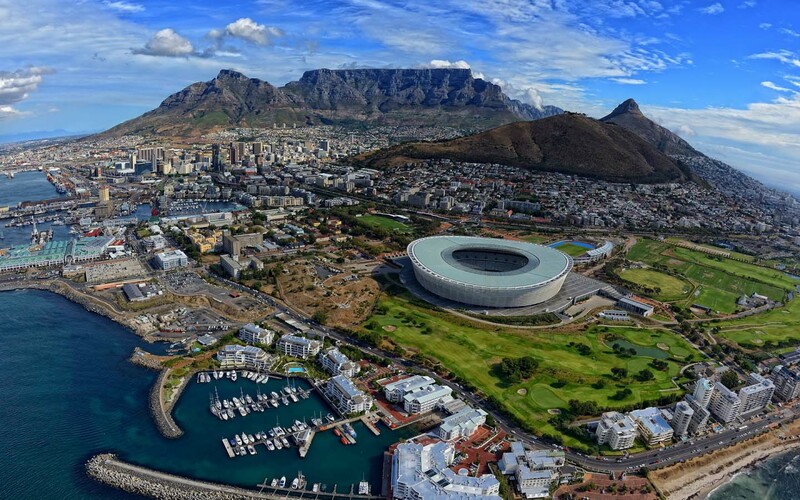 Cape Town started it’s life as a small way station for the Dutch East India company but now it is one of the most beautiful cities in the world with the accolades to prove it. As recently as 2014 the city was voted the best place to visit in the World by the New York Times and the Daily Telegraph, and on top of that the city was crowned the World Design Capital in 2014. The unique feature of Cape Town is the fact that the city has a level of biodiversity that is astounding. Visitors can learn about the intriguing native species. There are a plethora of nature reserves by by far the biggest and most visited is the Table Mountain nature reserve. Here guests will be able to take a guided tour of the park with local botany and zoology experts who will educate and bring wonder to all participants. The park has hundreds of unique plant like that varies from the microscopic to the impressive silver trees, adventurers are advised that the slopes of Lion’s Head is a silver tree haven. There are fantastical creatures that call the nature reserve home such as the African bush elephant, the black-backed jackal, and the laughing spotted hyena. There is also the mysterious Cape Lion. Which is supposed to have become extinct in the 1920’s but many travellers and trackers claim to find traces of the once noble predator. There is also the chance to see one of the few black rhinos still in the world. As well as the reintroduced species of the eland, mountain zebra, and bontebok. The Table Mountain nature reserve is a treat for the avid eco-tourist as they will see the hard work of scientists and locals help rebuild an ecosystem constantly under siege by invasive species. However, even the most those who are not in the loop about protecting biodiversity will still walk away from the tour with an elevating feeling of seeing such natural beauty and the hard work of many hundreds of people. As for the mountains the nature reserves are on, they offer some of the most gorgeous vistas anywhere in the world. Not just of the 2014 World Design Capital, but of the Cape peninsula. Which is a bountiful bowl of the botanics that are native to the region but also out onto the water. Where the mighty and awe inspiring Atlantic and Indian oceans merge. From the heights of either of the four mountains, adventurers will appreciate the majesty of nature but also the historical context that for sailors that traversed these vast oceans this was a frontier unlike any,other. Where Cape Town was the ocean portal to India and the rest of Asia. There are many museums that will have visitors appreciating South Africa’s long and sometimes deeply troubled nature. Cape Town, nevertheless, as become a thriving cosmopolis with a unique level of diversity of people. For a break from culture, science, and mountain hikes; Cape Town has four marvelous beaches that have their own character that will soothe everyone regardless of their own particular tastes as there is a beach for every occasion. If you want to rub shoulders with the locals and have a beach afternoon like a true citizen of Cape Town then Llandudno. The beach is rather secluded, as there is just a small road leading to it but it is a very popular destination for the locals. Here you can surf, body-board, or have a nice romantic beach day; since the waters of the Atlantic are very refreshing but also because you can pitch a beach umbrella and watch the sunset over the horizon. Boulders beach is the place for an excellent day of family fun. The beach is situated on the Indian ocean side, so the bay has some excellent soft sands and warming water. However, most importantly the beach is home to the endangered African penguins. So many people love to come and watch the adorable little characters waddle about the beach, so it’s sure to make children and adults have a smile. There is Clifton beach also which is a very glamorous spot in Cape Town as many of the rich and famous come to have their beach getaway here. There are also clusters of large boulders which will protect from any mischievous Atlantic wind that may come creeping. Camps bay is the perfect destination for having a day of gastronomic indulgence as the beach has many fantastic bars and restaurants hemming the beach. So you can work up an appetite playing beach volleyball or surfing then escape to one of these superb eateries. Frankly there is no wonder that Cape Town is so critically acclaimed as a holiday destination. The city has so much character that there is something for everyone. Visitors will see the work the local people have done to make Cape Town a destination that won’t be forgotten. The excellence of the beaches. The untamed nature that gives Cape Town it’s place on the World stage as a place of biological significance that will enthrall guests. Also not to mention the warm welcome from the local community which is as refreshing as the waters of the Atlantic and rejuvenating as the waters of the Indian ocean. So visit the Cape of Good Hope and good times.